Brandeis students in fourth grade work were challenged to create light. They were given a light bulb, 2 insulated wires, 2 battery stands, and bulb socket. Students determined that there was no way they could get the light bulb to light up without a power source. Once given the battery, students set out to light up the room. They each created a series circuit. 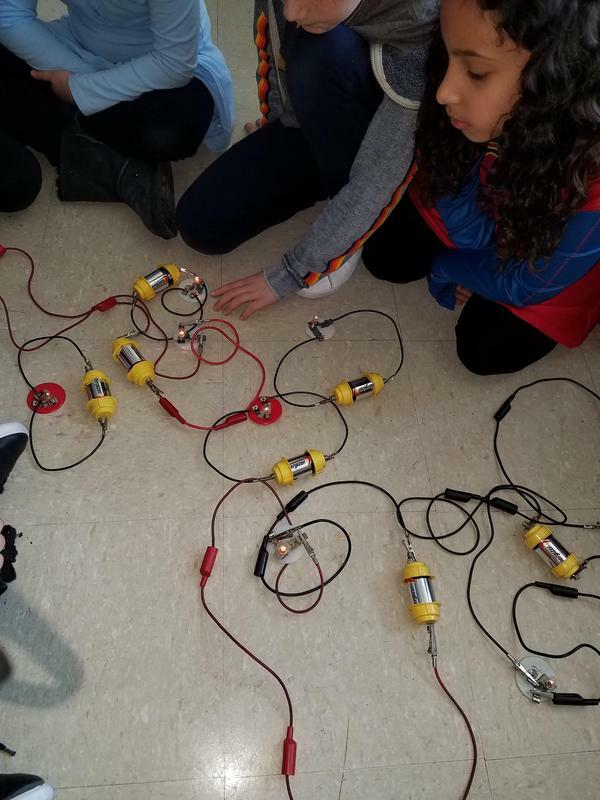 Having met the first challenge, they then join with their peers to create parallel circuits and continued exploring until all teams connected. Not only did the bulbs light up, but so did their eyes and smiles.